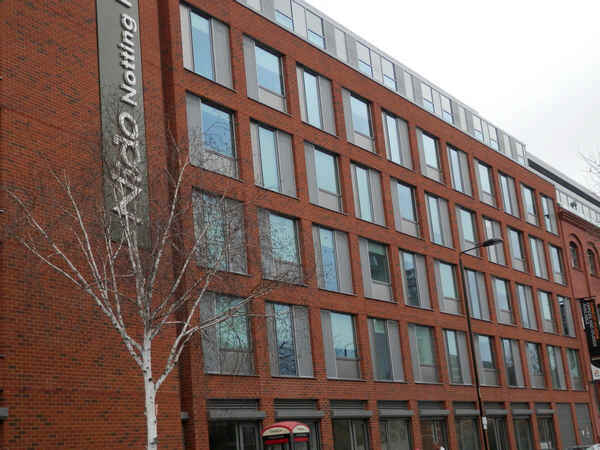 ISG – Nido Student Residence in Notting Hill – London. Working closely with ISG (Interior and Exterior) and architects TP Bennett, Asset Fineline supplied and installed the windows and doors to a 272 bedroom student accommodation scheme in Notting Hill – London. The seven storey structure incorporated an inner courtyard and was located right next to the Grand Union canal but the most striking part of the building was the distinctive colour and design of the windows. TP Bennett were insistent that the external fenestration stood out and this was achieved by use of PVC-u windows, sprayed RAL 9007 with a lacquer finish for increased durability. Imported glass was used as the glass was required to give a distinctive blue and green appearance and there was even a PVC-u die cut to provide a feature coupling bar cover. 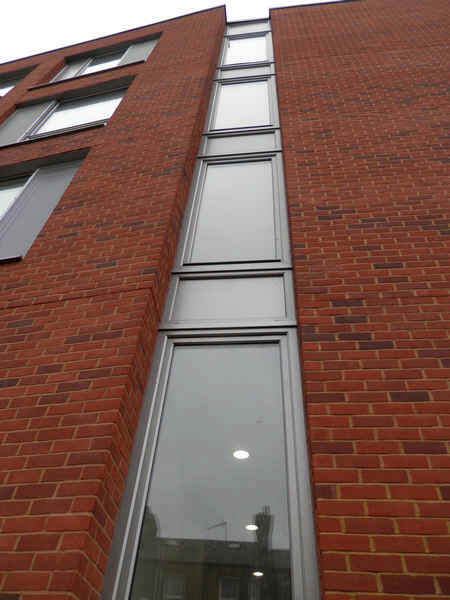 The external facade also has the distinctive grilles installed by Asset Fineline which allow the full height windows to be opened safely as the grilles ensure that the students cannot fall out. Detailed calculations were made in conjunction with hardware specialists to ensure the pull out strength of the screws used and the fixing points in the windows were fit for purpose and exceeded all the safety factors.